THE sixth-generation VW Polo compact city car, with extra specification and increased dimensions, makes Euro style and quality available from just $17,990. Adding to the value proposition, it has greater boot space and headroom than some cars in the segment above. We own the Golf stablemate - so can the Polo 70TSI Trendline persuade us that it's a viable family car? IAIN: Entry-level city cars don't normally get you excited. You prepare yourself for steel wheels, drum brakes on the rear, no leather seats or fancy inclusions. JULES: All right, I'm not that much of a snob. Besides, I like the classy look of the new Polo. Big for a city car, isn't it? IAIN: Well spotted. The Polo has grown so much VW says it's bigger than the Golf Mk4 sold from 1998-2004. JULES: My parents had a Golf Mk4 as a family car. Does that mean a new Polo would be a candidate for our family of four? IAIN: Of course. Just because you breed doesn't mean you need a giant seven-seat SUV. Huge numbers of European families have Polo-sized cars as their main family vehicle. JULES: What engine have we got here? 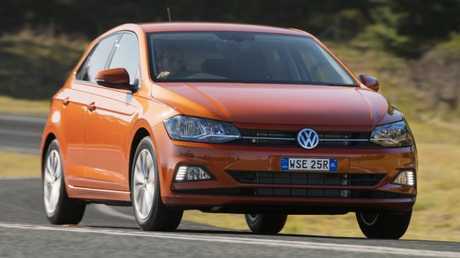 IAIN: This is the entry level 70TSI Trendline, with 1.0-litre three-cylinder turbo. Power is just 70kW but peak torque is a perky 175Nm. JULES: Not a lot then. IAIN: For $2500 more you can have a Polo 85TSI Comfortline. Same engine but tuned for 85kW/200Nm, plus you get alloys, auto lights and wipers and comfier cloth seats. JULES: What am I getting for my money with the Trendline? 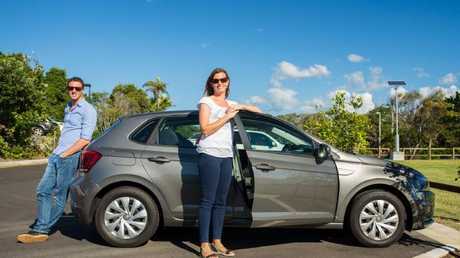 IAIN: For $20,490 drive-away with auto gearbox it's pretty good. It comes with an eight-inch infotainment screen, Apple CarPlay/Android Auto, Bluetooth, cruise control, rear camera and autonomous emergency braking. 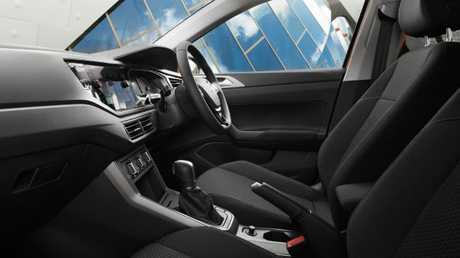 JULES: The cabin is understated and classy but not funky like many city cars. IAIN: True - but it's really well presented for buyers favouring quality over gimmicks. JULES: The colour touchscreen that mirrors my phone through Apple CarPlay is a key selling point for me. Big win. IAIN: The dash and touch points have a few more hard plastics than a Golf but I'd say the Polo's the class leader at this price for cabin quality. JULES: And space. The kids seemed to have as much room in the back as larger, pricier cars. IAIN: City cars are normally just that. Brilliantly versatile in town but a bit rubbish on the highway. JULES: Like when it feels like a gust of wind would topple you over? IAIN: Exactly. 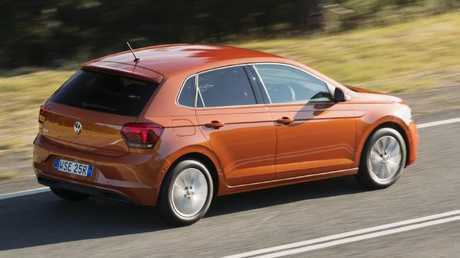 The Polo feels more grown-up, stable, quiet and well suited for doing 110km/h for long distances. The cruise control helps too. JULES: It's so nice not having an SUV. I love the Polo's size for zipping into parking spaces. Rear camera's great but I'd love sensors too. IAIN: The boot's bigger than a Mazda3 or Ford Focus in the class above, by the way. JULES: More shopping then! Going back to me not being a snob - sort of - I was prouder parking it than, say, a Toyota or something Korean. The European badge is still a cut above. IAIN: It does look sharp. Even in its rather dull grey colour. VW's colour palette is too bland. JULES: Nothing jazzy at all? IAIN: There is metallic orange, white, black or silver. Not a blue or red to be found. JULES: I found the throttle response a bit slow, even in Sport mode. Maybe I'm just used to our Golf with its bigger engine. IAIN: It drives like a baby Golf to me. It's a joy to steer, I love the note of the three-cylinder turbo engine and in Sport mode it holds the higher revs well. It's brilliant to throw around. JULES: Didn't you find it slow off the mark? IAIN: VW's auto gearbox, called DSG, is a tiny bit jerky at low speeds but I think it's just that you're used to a manual shifter and more power than 70kW. The time from rest to 100km/h is 10.8 seconds, remember. JULES: It steers really precisely and I'm a big fan of the sporty flat-bottom leather wheel. IAIN: Apart from not being able to fit their bikes in the boot, the six and three-year old had plenty of rear space with their two Isofix seats in place. JULES: No air vents for the kids back there, or USB points. IAIN: Imagine us complaining about such things when we were kids. They don't care. If it's air they need, they can open a window. JULES: Anyway, six airbags, auto emergency braking and five-star safety rating mean it passes the family test. IAIN: Warranty is three years, when many rivals are longer. Plus it needs 95 premium fuel, if I'm being picky. JULES: Style, cabin finish, infotainment and decent size make the Polo a winner but I'd prefer more power. IAIN: Agreed. It makes spending $2500 more for the 85kW Comfortline with alloys look a good move. 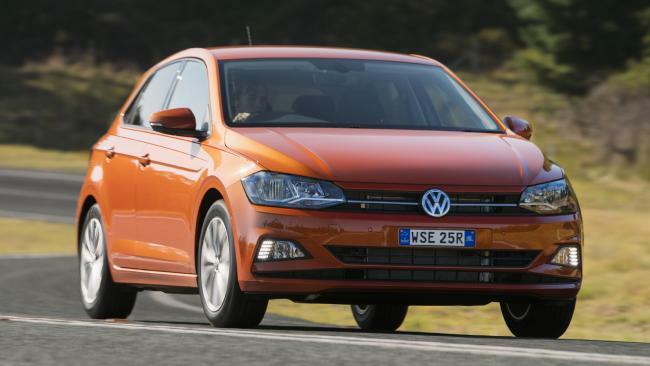 Even so, this entry-level Polo's a cracker with its mature and well-engineered feel. JULES: But if you need more space, the Skoda Fabia is the only one in the city car class with a wagon back. I'd still pick it for my life with two kids, plus it has a five-year warranty. IAIN: Good call. The Fabia and Polo share plenty of DNA. But for me, the VW's the classier choice.